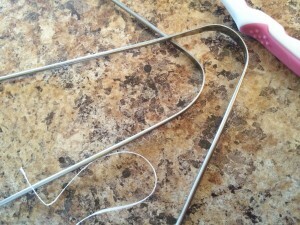 A tongue scraper is one of the easiest methods to diagnose how your digestive system is running. Ayurveda believes that use of a tongue scraper in the morning, before brushing your teeth will reveal what the toxicity is left from undigested food particles. If these particles are left in the digestive system they can create a very slow process of dysfunction. A tongue scraper shows you what is on your tongue clearly by gathering the coating on your tongue and removing it from your body! This allow you to self diagnosis if your digestion is variable, fast, slow or balanced. we can then decide a plan of action to assist the body into better functioning. The alimentary canal changes on a daily basis, its health is very dependent on our lifestyle, our diet and our routine. Should we not be following a good solid routine it is harder for the digestion to be stable. Digestion is also very affected by our mental attitude and how we cope with stress, anxiety and anger. A tongue scraper is essential to good digestive health..they also help with halitosis, bad breath and sense of taste. Use firmly on your tongue, going as far back as you can, which may create a small gag reflex, but the more you use a tongue scraper the more you will get used to the correct method of use.